I'm pretty sure you all know by now why I haven't posted yesterday but in case you don't : Blogger has been down for 24 hours, it was on "read-only" mode so I couldn't post or publish comments. It's all fixed now, apart from Wednesday's post (Day 3 Golden Rose Scale Effect 01), which has been deleted and I hope will be back online very soon... Otherwise, I'll just have to do it all over again. Today I have a little twist using OPI White Shatter. (You can still read the whole Shatter Colletion review here). I wanted to give this mani a "vintage look" with a kind of patina effect, the paint you can find on old painted furniture. Lapis of Luxury is perfect in this case because if you apply a thin coat, it'll be sheer but even. I'm in love with this manicure, the White Shatter doesn't clash with Lapis of Luxury. The last coat of blue fills all the cracks, not only those where the polish Shatters but also the small uneven ridges in the white polish itself and gives a very subtle look. This one is seriously awesome! Great, great look! This is an interesting take on the shatter look. I like it. Great Job! So pretty. I agree that this looks like Wedgewood china. My cousin had tons of the stuff all over her house. 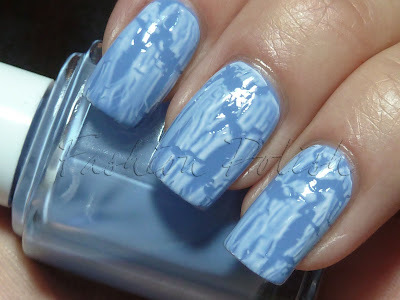 This is such a great mani! Thank you for helping me like white shatter - up until this post I've hated it, thinking it looks like white out (not cute!). 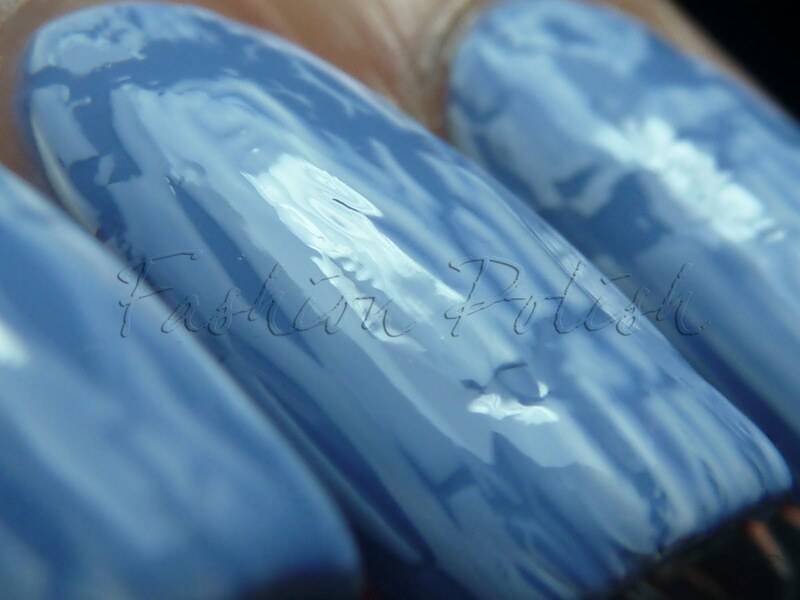 Layering a coat of Lapis of Luxury over was just genius! Now I need to go pick up a bottle to try this out..